Some visitors may only have couple days to visit Taiwan on their trip for any reasons. It could be a short break during their conference or exhibition trip in Taiwan. Or it could be that they only stop over in Taiwan because their final destination is Japan or South Korea. But no matter what reason it may be, they still want to get the best experience out of they short stay in Taiwan. Then we would surely recommend to take one day to enjoy the rides along the riverside parks and the bike ways built along the main rivers. If you have a bit more time, then you can arrange couple more days and a bit more into the east to get experience both into the mountains and the Pacific ocean. We plan a simple route for three days to ride the northern part of Taiwan, which will cover Taipei city (台北市), New Taipei city (新北市), Yilan county (宜蘭縣), and Keelung city (基隆市). This route starts from Taipei riverside park and enter the mountain from Xindian (新店) to Pinglin (坪林) and exit to Jiaosi (礁溪) where you can relax and immerse yourself into a well relaxed hot spring after an exhausting day of long bike ride. The second day riding plan will start from Jiaosi and directly head to east and reach the coastline where you will have the Pacific ocean on your ride all the time during your ride. Today will be less climbing comparing to the previous day, so simply relax and take as much time as possible to take photos and taste the local foods. At night you should visit one of the most famous night market in Northern Taiwan - Keelung Miaoko (廟口), literally means market in front of temple. Third day you can either ride along the coastline all the way back to Danshui (淡水) or either travel as we suggested here to pass and visit one of the National Park in Taiwan called Yangminshan (陽明山) since you would not have chance to visit the most famous Taroko (太魯閣) that is located in the East Taiwan. Yangminshan is still a live volcano but really no need to worry since it has been quietly sleeping for a long time now and no signs of being active again any time soon. However, due to the volcanic characteristics, the scenes along the way would really pay off for all the climbing efforts. 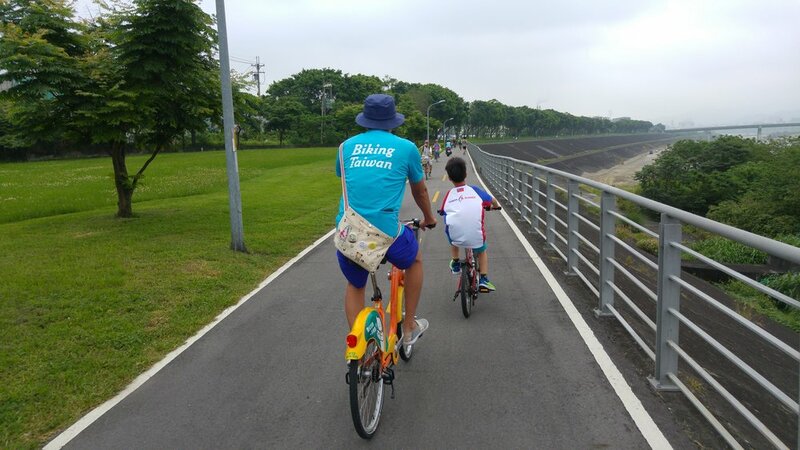 As we firmly believe, there are always places to enjoy your biking experience in Taiwan. Just plan a little bit in advance and do not worry of getting lost in Taiwan since there are always people willing to help any visitors to have their best memory in Taiwan. Hop on and have a great time in Biking Taiwan and wish to see you back in this wonderful place again soon!